Optical Leak Testing is an advanced leak test technology incorporating a sensitive full field interferometer that allows the user to inspect for gross and fine leaks simultaneously. The technique eliminates the long pressure bombing and the gas absorption issues typical of Helium Mass Spectroscopy and Krypton 85. OLT also eliminates the problems associated with gross leak testing using fluorocarbons or red dyes. 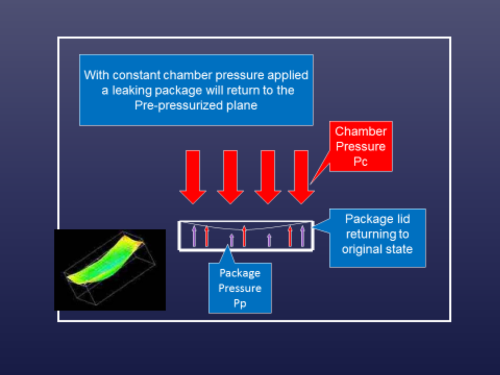 The Optical Leak Test (OLT) system inspects sealed electronic devices by measuring the lid deflection of the package over time with a holographic interferometer while the device is under a controlled pressure. 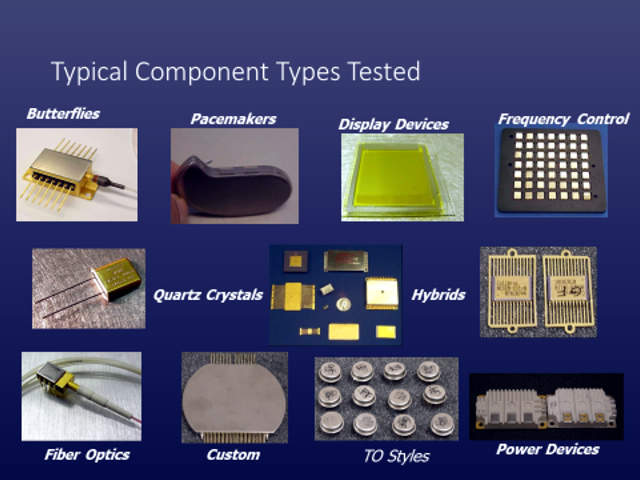 The lids of all the devices under test are imaged simultaneously by the holographic camera and processed by the NorCom proprietary imaging software. Prior to pressurization the package lid is flat. 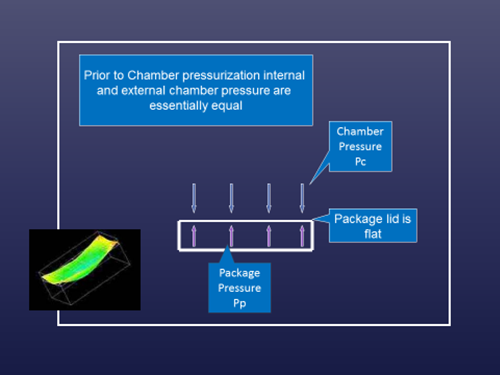 Once the chamber is pressurized, the package lid will deflect very slightly, and the resultant deformation is measured in microns/psi. The lids of leaking packages will either not move (gross leak), or will move back towards their original state (fine leak). 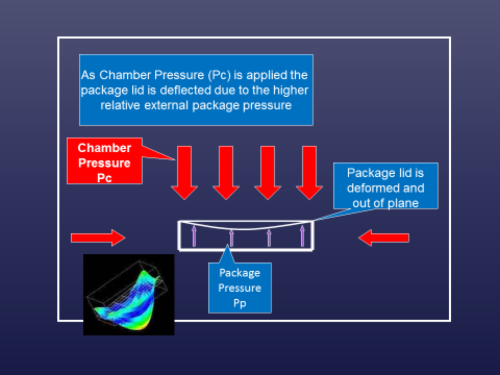 The change in internal pressure of the package is then reported in cc atm/sec of the test gas, and the leaking parts are automatically rejected.